This item has been discontinued by the manufacturer. Please see the Laerdal Little Junior QCPR with Soft Pack/Training Mat for a replacement. 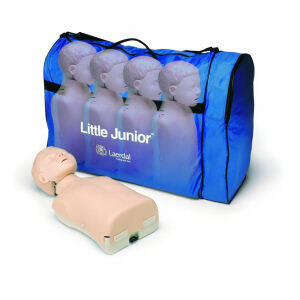 Four Pack includes: 4 Manikins, Soft Pack, 8 Junior Faces, 8 Junior Airways, 24 Manikin Wipes, and Directions for Use.